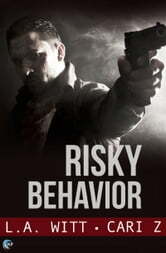 The Bad Behavior novels can be enjoyed on their own or in series order. This was well written and at times a page turner. I liked the mix of a crime thriller and romance. It's something that just works and is one of my favorite genre's. I don't know Cari Z, but L.A. Witt seems to never disappoint. If you haven't read every single one of the Cut & Run series, you should.